Once again Dr Berkeley, author of Refuse to Regain, has posted something full of such common food sense it is an instant classic on my list of helpful holiday hints. December is the most important month to remember that it's all about insulin. Insulin sends the body's strongest signal to prevent fat breakdown. If you are making insulin, you are in storage mode AND you can't be losing fat. You are making insulin if you are eating little bites of cookie dough, a few of those festively wrapped Hershey kisses, or if you are drinking a caramel brulee latte. In addition, trigger foods which are so ubiquitous at this time of year set off the body's addiction pathways. Sugar gets into your system and it stages a take over. Before you know it, there's been a coup and you are no longer in control of your eating, sugar is. My food has been clean lately, compared to between 6 weeks after my mother's death and the seven weeks before by birthday when I actively put food in my mouth that does not belong there, but I figured I can never be too clean for a two day challenge. I dropped to 50 carbs for the past two days. As you will read in Dr Berkeley's post; the carbs in raw vegetables do not count. 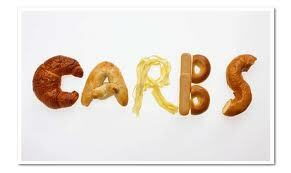 The carbs in starchy vegetables, cooked vegetables and all other carbs do count. For two days I skipped having a banana, cereal, beans, peas, sunflower seed bread, the sweet fruits, and my Quest protein bars in an effort to keep the carbs under 50. For the past two days my 50 carbs consisted of salsa, avocado, Newman's Own Low Fat Asian Dressing, Greek non-fat yogurt, 2% and fat free ricotta, almond milk and a protein shake. Add to this all the raw veggies, black berries, pork, turkey, egg whites and almonds I had in my food plan and I had an otherwise well balanced two days with an average 1400 calories each day - and over 30 grams of fiber each day. I don't weigh in until the first of the month so I have no numbers to report but I feel good and not puffy at all. In addition, trigger foods which are so ubiquitous at this time of year set off the body's addiction pathways. Sugar gets into your system and it stages a take over. Before you know it, there's been a coup and you are no longer in control of your eating, sugar is. I don't want to be caught unawares. I don't want to pretend what I eat today will not matter tomorrow. I am a food addict and my body reacts to certain foods and eating behaviors differently than the bodies of non-food addicts. What I eat today will matter tomorrow. If I could have a day of 'stuff' today and go back to eating sanely tomorrow, I would. I can't. I don't. So I move on. There are better things in this life worth my time. More on that next time. Will you drop and give fifty for a day or two this week? Hell yes I will, Jane. Her post was very good, I agree. No matter how experienced or how far along in our process, taking a good hard look at what we mean to be doing, what we are actually doing is really helpful to see if things are actually working (in my opinion). Hi Jane, Well, I've been having a lot better time being a smaller size than eating the treats anyway. So I'd say that, not only is your post wise, but the treats aren't worth it. post is really very good. i have been reader of your posts for many times. my English is not so good but i like your style of writing the post very much.